I come from the Oneida Nation of the Thames and my clan is Bear. I have been working with the Museum of Ontario Archaeology for two and a half years now. I was the curator for The Story of Our Grandfathers: Our Original Medicine exhibition from May-August 2014 and the assistant curator for the On^yota’a:ka: ukwehuwenekha’ khale’/miinwaa Anishinaabemowin language exhibition that is currently on display at the museum. The peyote stitch was originally used by the Kiowa and Comanche tribes from the South. It is similar to the brick stitch where only one bead is used at a time. 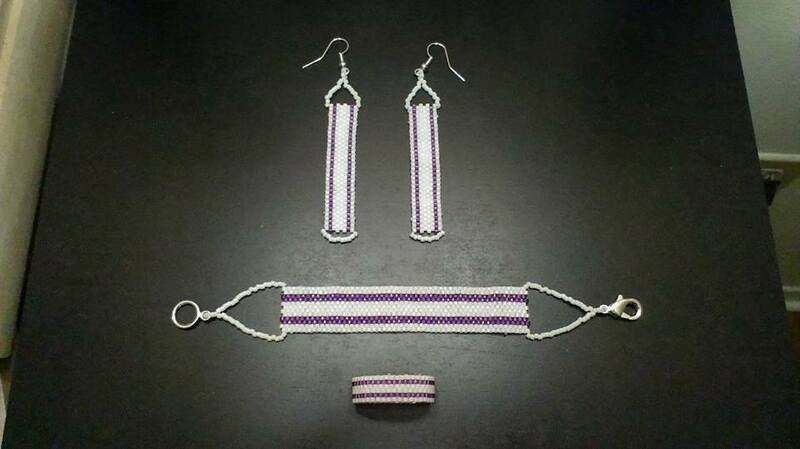 Each First Nation tribe has their own signature style of beadwork. 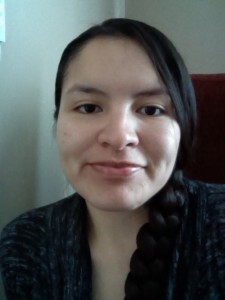 I am not using the style of beadwork that comes from my people. I learned the peyote style of beadwork because I like it. Being able to share amongst each other is how traditions get passed on. It is important to acknowledge where the original style or craft comes from. The Peyote stitch can be used for many different things – decorating pipes, drum sticks, whistles, and lighters. It can also be made into jewelry like rings, bracelets, and earrings. Since using this style of beading can be time-consuming, it is best to start with rings, bracelets, or decorating around something small like a lighter. The video will show you the basic stitch of peyote style. Once you have the basic stitch down, then the possibilities are endless with what you can do with it! It is during times of beading when we share stories, sing, or just be in tranquility. It is important to put good energies and love into your beaded project! I find that beading is calming and therapeutic. It is a great way to relieve stress and calm the mind. I love beading! I would like to share the joy of beading and will be planning a workshop at the museum in the future. 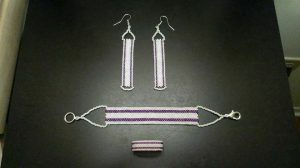 Before the workshop, I will be offering a drop-in beading session on Sunday, June 5th. If you have any questions, want to see the style, or try it out before signing up for a workshop, feel free to drop by! If you are interested in taking part in a workshop, please CLICK HERE to let us know and we’ll be sure to let you know when the workshop is scheduled.